India’s most promising name in bridal couture, Sabysachi Mukherjee has transformed the way history will remember magnificence. On Wednesday, Mukherjee launched his new flagship store in Mehrauli, New Delhi. 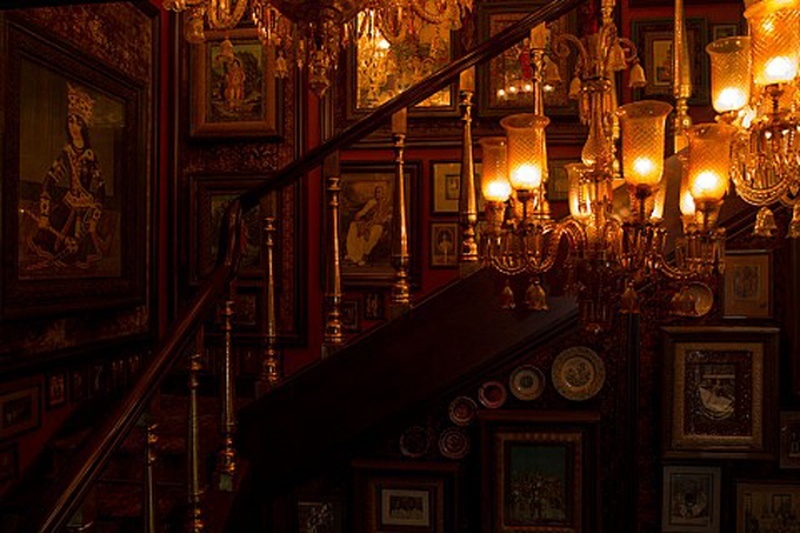 With interiors designed by the man himself, his store spans across a whopping 13,500 sq. ft. area making it the largest paradise for brides to shop for their bridal wear and jewellery all under one roof. Visit Sabysachi’s store to get an indication into the designer’s world and understand why is he the most sought-after choice for brides-to-be. True to his name, he has outlived expectations and turned tables of fashion and art. Creating sheer magic and infusing his colonial taste in art, Sabysachi’s store is a representation of Kolkata, its heritage and bylanes of Lucknow that brides will completely sink in while shopping in peace for their bridal couture, exactly what he aims to offer every customer. Located in Delhi’s One Style Mile, the storehouse is a treasury in its own that welcomes you with a grand staircase dividing the store into two wings. Indeed a genius concept! One of the wings offers Sabyasachi’s signature bridal creations, jewelry designed by Kishandas & Co and bespoke trunks by Trunks Company, Jaipur. When you enter the second wing, you’ll be mesmerized by the display of ready-to-wear sarees and kurtas, and fine assortments of accessories. A separate floor has been designed to offer smart menswear. Whether you want to shop or not, the store is open for you to visit and simply relax soaking in the ambiance with the fine cup of tea. Some fun-facts about the store: Its interior decoration comprises of 63 pieces of art by Sabysachi Art Foundation, 5 sparse paintings by Tanjore, 112 antique carpets, 214 vintage Dutch plates, 318 studio portraits, 42 pieces of calendar art and French period all handpicked by Sabyasachi. Here’s a sneak-peek.